As we adjust to writing “2019” in our planners, now is a good time to reflect on 2018 and see the big picture. At Church Executive, that means taking a look at which articles were most important to our readers. 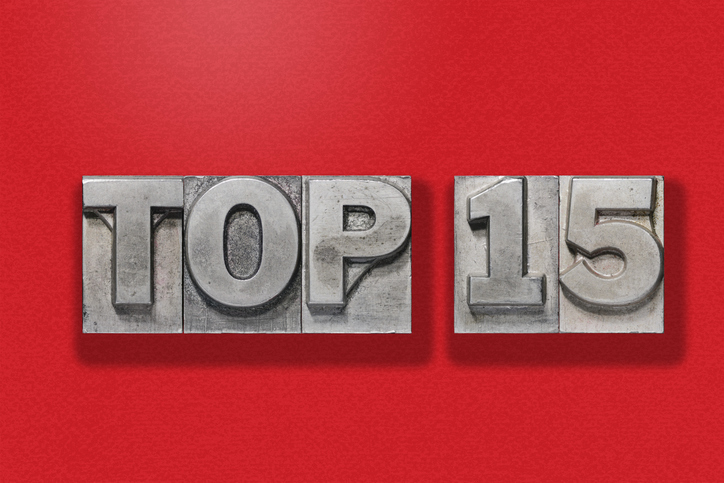 When we looked at the 15 most-read articles, the editors noticed there were a handful of primary categories that you, our readers, were most interested in. 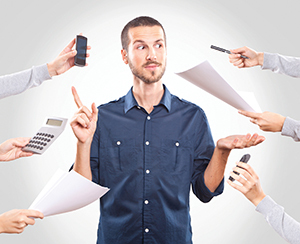 One of a church administrator’s primary roles is to manage the finances — no small task in a large church. It means keeping track of giving, taxes, projects and so much more. 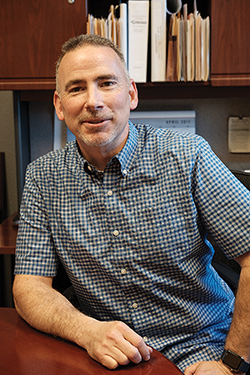 In spring, we published an article about Collin Lucas, the chief financial officer at Cornerstone Fellowship of Livermore in California, and how his previous experience in IT and business management consulting helped the church smartly fund a new campus. Cornerstone’s situation is a good case study in the financial needs of a rapidly growing church — to expand quickly, and in a non-linear fashion. In doing so, Cornerstone leaders realized they could no longer enlist the small lender they had always worked with before. As a result, Lucas and his fellow Cornerstone leaders turned to David S. Lee, the vice president of religious institution banking at Bank of the West. With a larger bank’s access to more resources and Lee’s knowledge and experience in church lending, Lucas and his team were able to smartly fund the expansion. Last autumn, Church Executive partnered with Joan Benson, director of nonprofit industry marketing at Sage Intacct, and MaryFrances Pidgeon, senior nonprofit sales engineer at Sage Intacct, to host a webinar: “Leveraging the Cloud for Quick & Easy Financial Reporting for Faith-Based Organizations,” which can be viewed for free at churchexecutive.com/webinars. 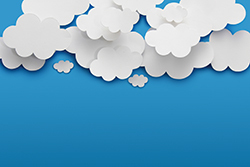 In it, Benson and Pidgeon demonstrate the various functions enabled by cloud software — including real-time updates — and examine the advantages of using the cloud for your church’s financial reporting needs. As we do with every webinar, Church Executive editors followed up the live presentation with a follow-up article in the next issue: “What cloud computing can do for your church’s financial reporting.” Readers can learn what cloud computing is, why it’s different, why many churches are switching to the cloud, and the benefits of using the cloud rather than manual spreadsheets. It also includes a sidebar with a Q&A with the presenters, providing answers given in the live presentation as well as responses to questions that couldn’t be addressed during the webinar. “You might not realize it, but tax planning for ministers is quite different than tax planning for lay church workers,” Barbarin said. Yes, clergy still have to plan for things like retirement accounts, deductions, and social security and Medicare, but they also have to take some vital information into account that many people don’t. This includes things like the Clergy Housing Allowance in the federal tax code and a Self-Employment Contributions Act tax. So, it’s important for members of the clergy to keep more than just deductions in mind during income tax season. In this article, Barbarin explained key concepts to understanding aspects of tax laws that most affect clergy. He also provided helpful tips for things to keep in mind when planning for taxes and retirement. Every pastor runs his or her church a little bit differently. So, it only makes sense to hear from leaders of all kinds to help you and your church thrive. 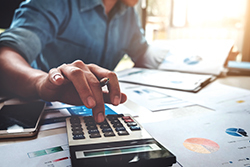 In the 1980s, accounting and financial management were rarely associated with any roles held by a pastor, according to Phill Martin, Deputy CEO of The Church Network. So, the story of how Martin and The Church Network CEO Simeon May come to be executive pastors and head an organization specifically for people in that role is, of course, a God thing. In this July article, May explained how his desire to ‘do something more’ led him to focus on missions work. But, he soon became the church business administrator at his local church instead and served in that role for 15 years. Then, May spent the next 20 years leading The Church Network — a position he still holds today. In the article, Martin explained how his own path led from wanting to be a minister of music to joining The Church Network board of directors after attending seminary. These paths to a church administration position are not uncommon; many who answer the call don’t plan to end up in that position. But for those who do, The Church Network is there to help. There’s a reason it takes a staff to run a church, or any organization really: no one person has the knowledge and skills needed to do everything successfully on their own. So even when someone is in a position of authority, they still need the voices of those in a “lower” position to help them do the best job possible. This is no different in a church. 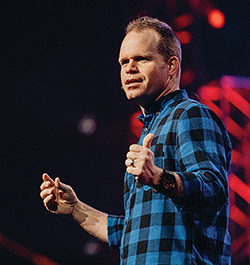 Clay Scroggins, author of “How to Lead When You’re Not in Charge,” has been teaching leadership skills to church staff for years. Read the interview with Scroggins to learn more about how people in the church might experience these feelings, and what observations and advice he has to offer about it. These days, church is so much more than Sunday worship. Members can be involved in volunteering, Bible study, daycare services, youth groups — the list goes on. When events are hosted at or by the church, it’s often expected that transportation will be provided. So, it’s important to pick the right means of transport (typically a type of bus). In this Church Executive Remote Roundtable, published in April, we spoke with a group of leading church transportation experts — from insurers, to dealers, to bus manufacturers — and asked for advice to help you select the right bus for your church and ensure that bus operation and maintenance are as safe and risk-free as possible. The group discussed numerous questions regarding common issues and concerns of pastors whose church is in the market for a bus. 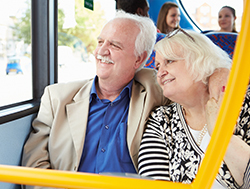 This included things like what to consider when buying a used bus, leasing versus buying options, bus driver requirements, bus maintenance schedules and recommendations, maintenance providers, warranties, legal regulations, risks, and more. The diverse opinions offered from different sides of the industry — like an insurance agent’s recommendations compared to those of a transit equipment expert — offer a well-rounded article of advice for how to best go about making this important investment for your church. In the span of the current decade, data has become a vital tool used by all sorts of organizations — including ministry. Data has enabled pastors to collect and sort a multitude of information about their congregations, typically using church management software (ChMS). As with any software, guidance is required to maximize this innovative tool. 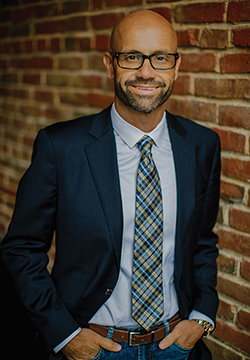 In another Church Executive Remote Roundtable, published in July, Boyd Pelley, co-founder and president of Churchteams.com, said the first challenge is capturing that initial data on a person’s first visit to the church. Pelley and the other ChMS experts also talked about all the ways various functions of the software allow church staff to categorize people by their interests, involvement, giving history, and more. By using these features, you can drive connection among first-time visitors and new members, and inspire them to deepen their relationship with your church. Our group of experts also shared success stories from church clients who have used their software to reach their goals related to assimilating people into the church. 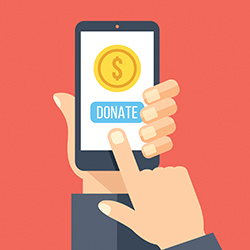 As you’ll see in a later section of this list, offering digital giving to your members brings many benefits. One is the ability to track churchgoers’ giving habits, which can improve how you serve your members and the missions you’re passionate about. “Making eGiving a successful part of your church community’s donation habits is easy, fast and uncomplicated. Churchgoers are already using digital options in their everyday lives to pay for gas at the pump by swiping a card, or by clicking into a mobile app to pay for their coffee. As your church membership grows, you might find the need to expand facilities. If so, you’ll need good information from pastors who have ‘been there’ about the ins and outs of church building projects. 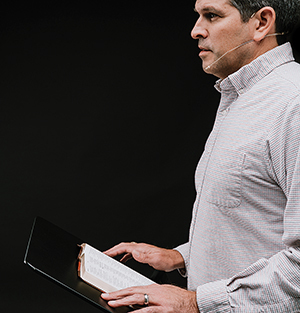 Last year, Church Executive featured a story about Pastor Shane Warren and The Assembly, a 96-year-old church in West Monroe, Louisiana — and a case study for beautifully overcoming facility construction obstacles. The Assembly was growing rapidly. When it reached more than 3,000 weekly attendees, the staff decided more space was in order, in the form of a $15-million building project. After the church and surrounding properties it owned were battered by devastating storms and flooding, they managed to raise millions of dollars for recovery, and the congregation unanimously voted to relocate. “[T]he revised plans maximized the church’s space in a way the original plans didn’t. Though more than 10,000 square feet was shaved off, every department was actually enlarged. Last January, Church Executive spoke with two church architecture experts about design trends to watch for the year. Bruce Woody, president and CEO of HH Architects, and Mark Ashcraft, creative director at HH Architects, discussed emerging and expiring trends of 2018, including multisite design and how to make multiple generations of worshippers feel comfortable on the same campus. When asked what design trends were driving the house-of-worship market, Woody and Ashcraft cited the growing importance of community and appropriately sized churches. “We’re seeing common spaces where people can actually gather, not just move from space to space; areas where people can come early or stay late and just hang out. It’s providing community central points, social centers, places that aren’t just for the weekends,” Ashcraft said. While some churches (like those above) are looking to build new facilities, other facilities just need some love. It’s important to maintain your campus to keep it functioning as needed for your members. The new year is the perfect time to evaluate your facilities and consider what needs to be updated or repaired. In churches, some challenges are universal. In the summer of 2018, Donovan Loomis, a facilities specialist at Dude Solutions who specializes in places of worship, wrote an article after he surveyed leaders across the country from churches of all sizes and demographics about their biggest challenges. “Generally speaking, they all had the same core challenges,” Loomis wrote. Those top four were funds, prioritization, staff, and responsibility. All four of these issues are generally interconnected, according to Loomis. Specifically, a chronic lack of sufficient funds to address every project needed leads to the need to prioritize funding for competing projects, which puts more demands on staff members — including the facility manager — who can get overworked when they’ve been asked to take on too many responsibilities. In the article, Loomis offered advice on how best to deal with the obstacles raised by these challenges and improve the overall efficiency of your church. This includes suggestions on how to track funds allocation, plan for future funding needs, make an argument for prioritizing a project, reward and work with staff members based on their performance, and automate processes in order to reassign and redistribute responsibilities among the church staff. One of the most remarkable features of many churches is the beautiful stained glass windows that have been there for generations. As these works of art mature, a need for expertise in stained glass window rejuvenation is rapidly emerging. 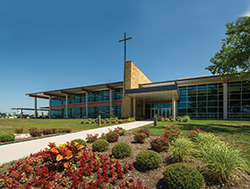 Associated Crafts® & Willet Hauser Architectural Glass® has served more than 20,000 churches and institutions in the last century, according to John Phillips, the firm’s founder and CEO. 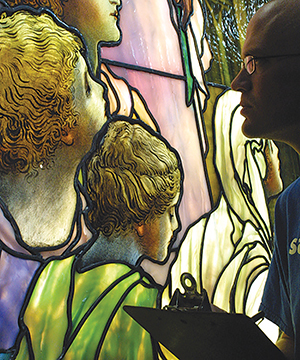 In his guide for restoring stained glass windows, Phillips informed readers on the process that goes into evaluating and restoring the stained glass and the types of prescribed services entailed. He explained the difference between repairs and historic restoration, as well as the importance of frames and protective glazing. He also warns about the risks of entrusting this work to stained glass companies that might not have the staff necessary to properly complete the job. 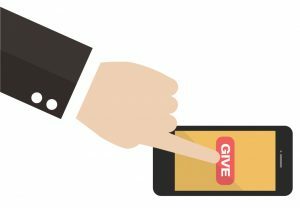 In the modern age of technology, a multitude of paths for giving to the church has opened up for people who might not have considered it before. While this is great for the church, it can be overwhelming for pastors who are used to the more traditional giving methods. 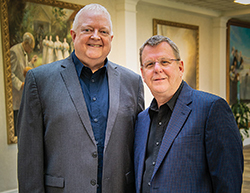 In July, we spoke again with Richard Bauer, an eGiving ambassador for Vanco Payment Solutions, and Mark Walker, a former pastor and the chief operating officer of Generush Giving, for a Q&A about the connection between digital giving and engagement with the church. While this is a multi-faceted aspect of ministry, Walker summed up the heart of the issue perfectly with a short, simple statement. The majority of any church’s community population is online, even adults older than age 65. If a church does not join its members and engage with them on digital platforms, it is missing out on opportunities for gifts and connections. To help with this, the digital giving experts gave their advice on how to use “social listening” to build relationships with people interested in your message and to increase donations to your church. Bauer and Walker also offered steps for turning non-givers into givers, regardless of whether they’ve ever physically attended your church. When we say ‘financial leaders,’ in this context we mean those who are blessed with the ability to give the largest gifts. It’s not uncommon for a pastor to find out that a wealthy member is making larger contributions elsewhere than to the church. That doesn’t necessarily mean they care more about that other organization; it might just be they’re not as engaged. 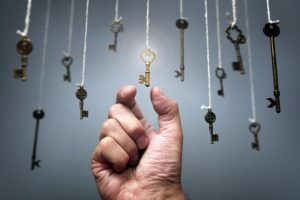 Joel Mikell, senior vice president and partner at Horizons Stewardship, explained why this happens and what you can do to reach out to your financial leaders to encourage them to give substantial gifts of the same magnitude. In this article, you’ll find advice for how to alter your approach to discussing gifts in a way that will best appeal to financial leaders and help them form a deeper relationship with the church and grow in the grace of giving. A church has special audio needs. Above anything else, people attend church to hear the message. In this May article, Jeff Barnett, director of house of worship sales at Sweetwater, an audio equipment company, highlights the importance of intelligibility — the congregation’s ability to clearly tell what the pastor is saying — and what to take into consideration when shopping for a microphone for your sermons. “For most churches, the easiest way to improve speech intelligibility is microphone choice and placement,” Barnett said. He then explained the ideal microphone placement for the best quality speech: directly in front of the mouth. It sounds obvious, but you would be surprised how often this actually isn’t done during a sermon. Often, this can be attributed to the mic type. If a pastor’s microphone moves with him, like a headworn or handheld mic, then he can move around naturally without changing the volume that the congregation is hearing. If the mic is stationary, however, then any turn of the head or steps away from the mic that the pastor takes will immediately impact the sound quality of the speech and some members will miss or mishear what was said. This is why Barnett recommends a headworn mic for pastors: it moves with you, no matter what your hands or body are doing, and stays at the same distance and position throughout. It is also the most expensive mic type on the list, which is why Barnett addresses the advantages and disadvantages of the other microphone types as well.